Carissa Klopoushak and Julia MacLaine perform at the first Ottawa Chamberfest City Series concert, playing Bartok, Honegger, Schulhoff, and folk music in the lobby of Ottawa City Hall. We had a great time performing at Toronto's Gallery 345 last Tuesday, December 9th. It's a wonderful space to play in - I hope to be back again soon! Our concert was also featured as one of Musical Toronto's Critic's Picks. I'm getting really excited for this recording! I'm very pleased to be performing as part of the Toronto Summer Music Festival's Shuffle Concert series next week. The Shuffle series, inspired by the mix of music you'd typically find on an iPod, are informal, eclectic one-hour performances by Festival Artists, special guests, and next-generation emerging artists. I'll be joined by my friends Alexandru Sura (cimbalom) and JC Lizotte (cello), playing Eastern European Folk Music (mostly Ukrainian). We'll finish the program with a new arrangement of Ravel's Tzigane. Looking forward to seeing you there! Thursday, July 24, 5pm The charismatic Canadian violinist performs a folk-inspired program with cimbalom player Alexandru Sura and cellist JC Lizotte. Directly after Ritornello Fest, I flew to Montreal to participate in a series of concerts with my friends and fellow laureates of the Canada Council for the Arts Musical Instrument Bank competition. The laureates took turns performing on the noon-hour series called "Bach's Lunch." Kerry DuWors and I took the opportunity to play together, performing Bach's 2-part Inventions for violin and viola, solo Bach movements, and other violin duos by Leclair and Bartok. You can read all about the noon hour concerts, reviewed by All Things Strings, here. In addition the lunch-time concerts, we had the marvellous privilege to perform the orchestral parts to Martin Beaver's Four Seasons and to Mozart's 5 violin concerti, performed so generously by Cho-Liang Lin. I've landed once again in Sydney to work for a time with the Australian Chamber Orchestra. I've taken a few days to myself to get reacquainted with the city, the weather (a change of 50 degrees - not easy for the violin! ), and the time zone. Rehearsals begin tomorrow; we're working with American soprano Dawn Upshaw. 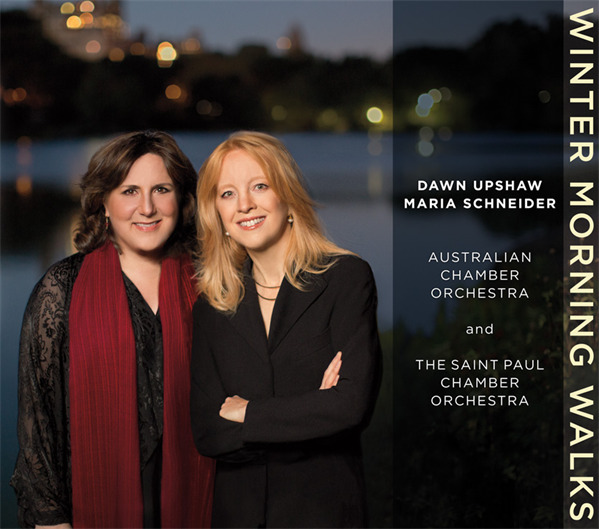 You may have read about Maria Schneider's work recently - the album (recorded with the ACO last year) won awards for Best Classical Vocal Solo, Best Contemporary Composition and the award for Best Engineered Album, Classical. If you're in Australia, you can find all the concert dates here. We then saw some of the sites of Lunenburg (see top photo), grabbed a coffee, and continued on our way to Yarmouth. In Yarmouth (where it is generally very, very windy, we performed for two groups of school children. Again, great questions and emotional responses to our music and questions! From Yarmouth, we drove back to Halifax, where we would share in some real Haligonian hospitality and eat lobster. They were delicious!!! Our last tour duty was to coach the students of Dalhousie Univeristy's collaborative piano class. We listened to some very talented and hard-working students perform, and did our best to help their already impressive performances develop further. We capped off the end of the class by performing a couple movements of the Prokofiev sonata we had been performing on tour. It was a lovely way to finish the week. I'd like to thank everyone at Debut Atlantic, all of the concert presenters, the students and our audience members across the maritimes for such a wonderful experience. It was lovely to perform and to get acquainted with so many wonderful people, and I hope to visit and perform in the region again soon.